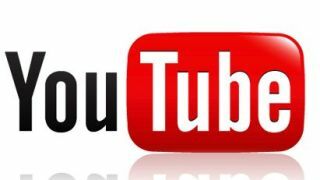 YouTube is set to be without a home on the iPhone 5, so Google has released a new version of the service for iOS. The app brings advertising to the service for the first time on iOS and is available from the Apple Appstore now. Speaking about the app, Google said on its blog: "The new app is built by YouTube engineers, to give our iPhone and iPod touch users the best mobile experience." New features on the app include tens of thousands more videos, new YouTube channel guide, faster search functionality and better sharing. At the moment, the app is for iPhone and iPod users but there will be an iPad optimised version "in the coming months" according to Google. Back in August, Apple confirmed that it was severing ties with YouTube and would no longer pre-load the app on to its devices when iOS 6 rolled out. This prompted Google to create a new app and have it downloadable from the app store. This isn't the first time Apple has shunned Google – it also revealed back at WWDC, when it first announced iOS 6, that it was no longer using Google Maps, preferring to partner with TomTom for its own version of the software. TechRadar is expecting iOS 6 to be released in the wild when the iPhone 5 is announced September 12.